World Radio Day 2018 was commemorated in style by KCOMNET, community radios, UNESCO and other partners at Kivuli Centre in Riruta Satellite. Kivuli Centre is the location of Mtaani Community Radio. The theme was “Radio and Sports for Peace and Uniting Communities”. 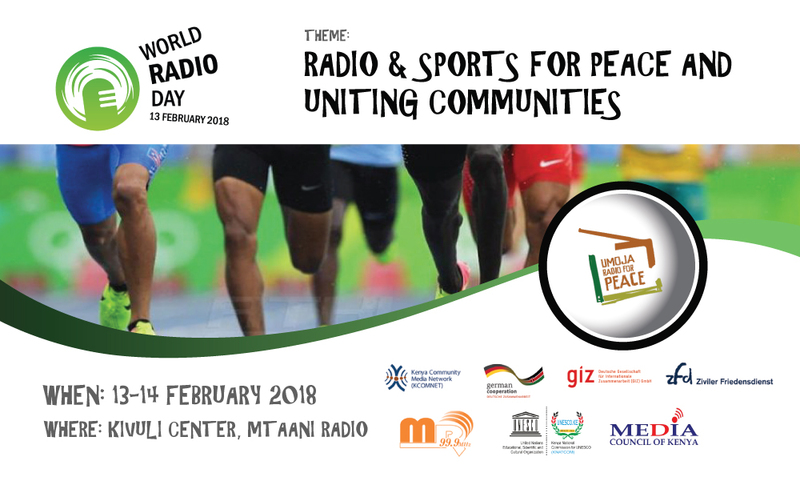 The main objective for these event was to bring together our radios to commemorate World Radio day 2018 on the above mentioned theme and to showcase the beauty of sports in all of its diversity.This will be an effort to use radio and sports as catalyst for peace and social development.